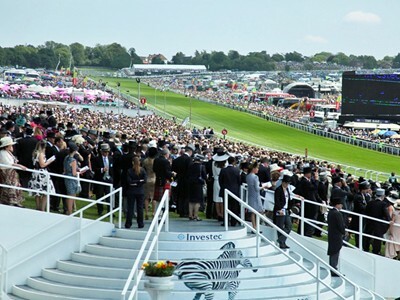 The Investec Derby (4.30) is obviously the feature race on Saturday’s card at Epsom but, as far as this column is concerned, the Investec Corporate Banking “Dash” (3.45), run over the fastest five furlongs in the world, has to be the race for us. The £100,000 handicap invariably attracts a maximum field of 20 runners and recent ‘surprise’ winners include Bertoliver (33/1) in 2010 and Stone Of Folca (50/1). Recent statistics suggest a middle to high draw is an advantage but, with this in mind, we’ve run a rule over this year’s contenders and come up with a couple of selections that we think could go well at rewarding odds. Blithe Spirit (33/1) is clearly well suited to a very sharp track, having won three times over the minimum trip at Chester, so it’s something of a surprise that he’s yet to tackle Epsom. He was only beaten a neck and half a length in a similar race, on good to soft going, at Haydock last September, off a 1lb lower mark and should be spot after a couple of runs already this season. He should run his race whatever the weather in the South East and he’s not badly drawn at all in stall 14. Humidor (33/1) is a fine old stager, who has ‘won’ two of his three starts over course and distance – one race was declared void – and finished ninth of 20, beaten 4¾ lengths, behind Desert Law in this race last year on the other. His finishing position last year doesn’t tell the whole story, because he was repeatedly denied a clear run so, while he’s 5lb higher in the weights this time, he could go well again. In fact, his last win came over course and distance, on heavy going, off a 3lb lower mark so, with George Wood taking off a useful 7lb, he looks reasonably treated, even if he is in the veteran stage. He, too, has a favourable draw in stall 11. How unfortunate was Kimberella! Really unlucky with the start and still battled back.